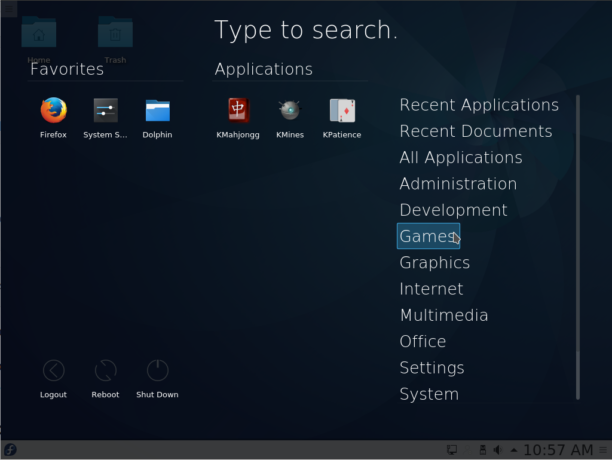 The KDE Spin comes with KDE Frameworks 5.27.0 and Qt 5.7. 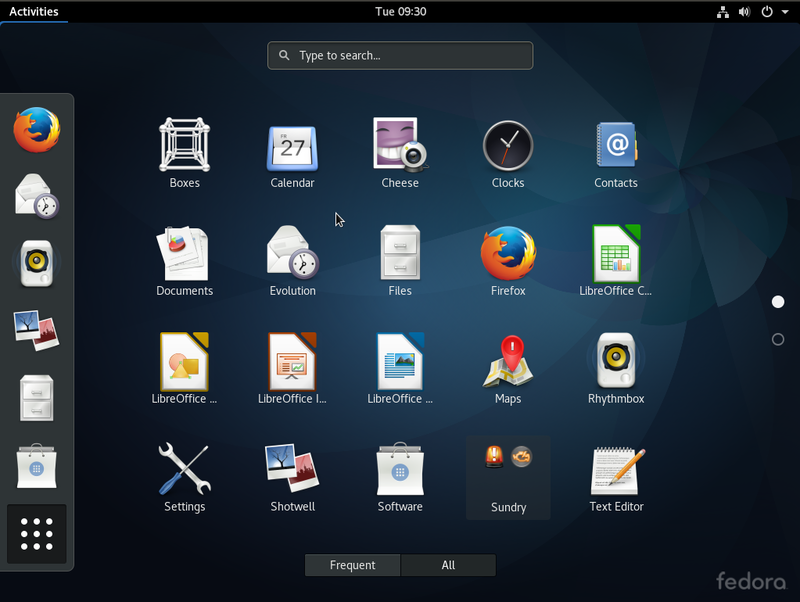 The following screenshots shows aspects of the desktop from a test installation. 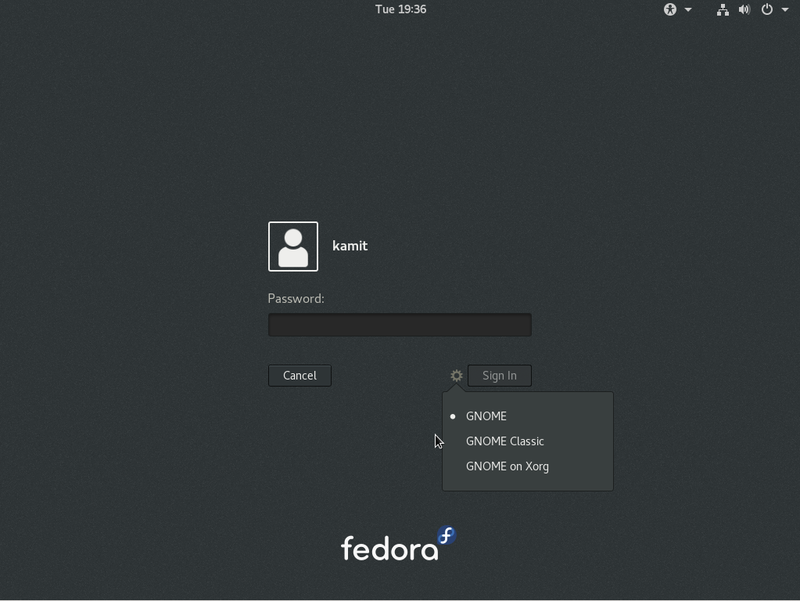 The Fedora 25 KDE Plasma desktop log-in screen. 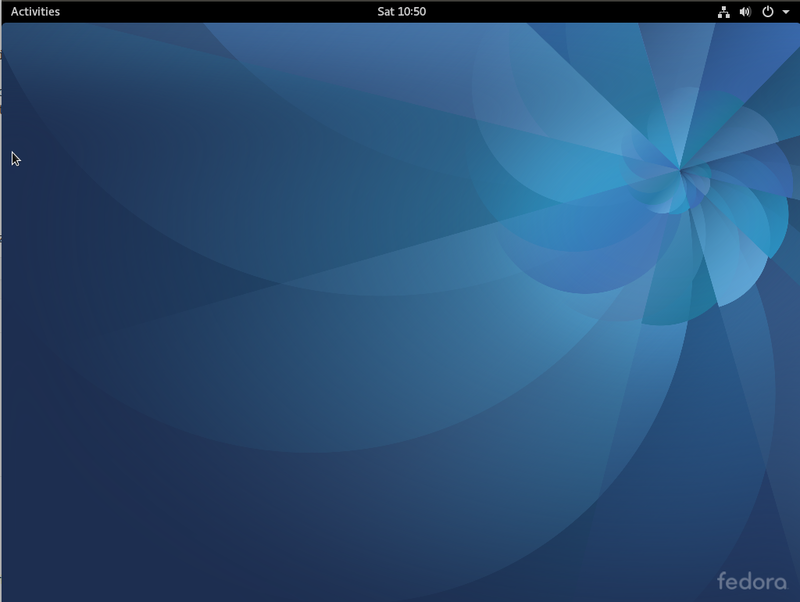 Default desktop of Fedora 25 KDE Plasma desktop. 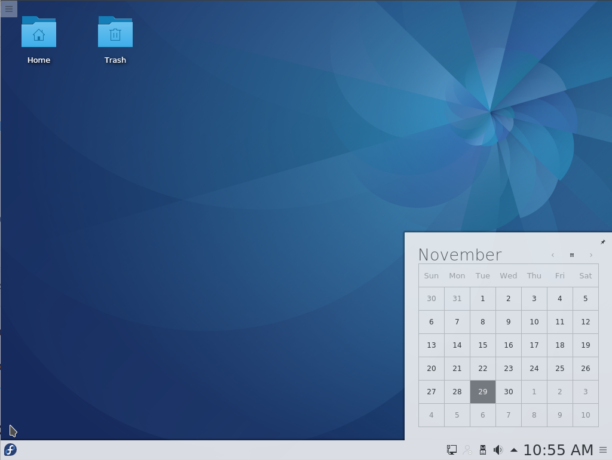 Fedora 25 KDE Plasma desktop showing the panel calendar. 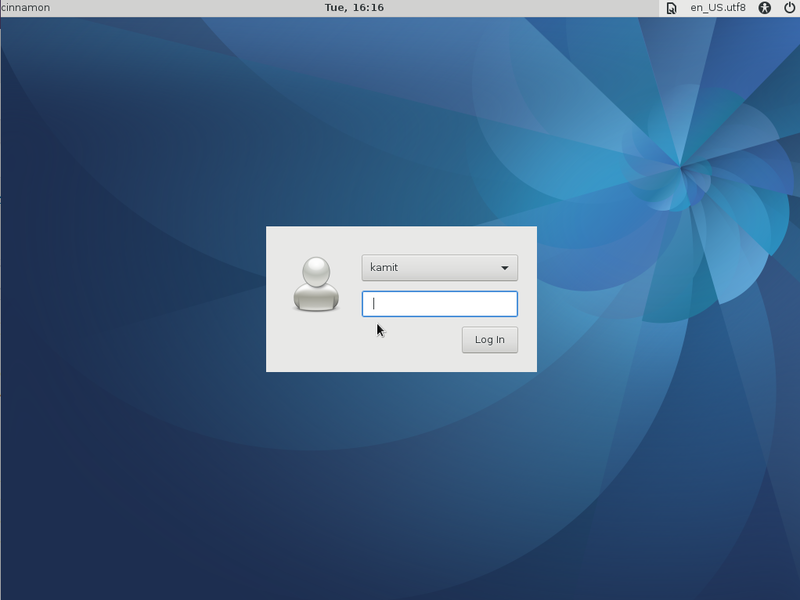 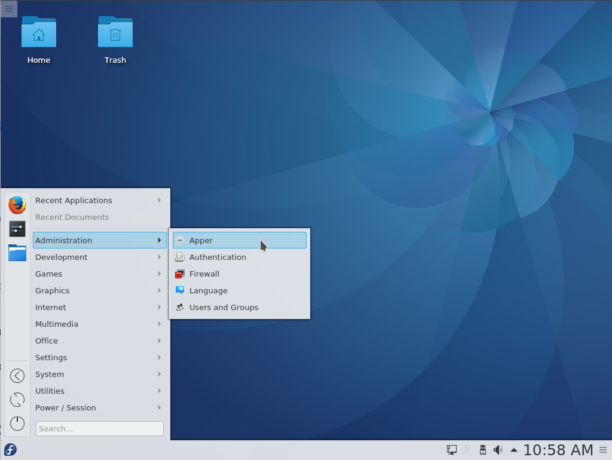 Default menu of the Fedora 25 KDE Plasma desktop. 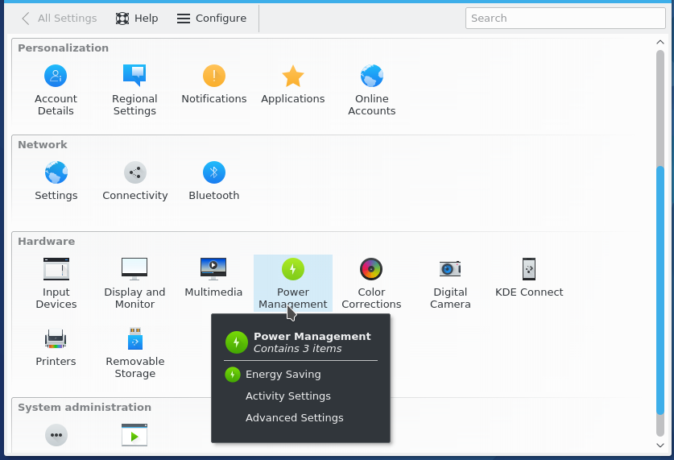 A fullscreen application dashboard is an alternative application menu for all KDE Plasma desktops. 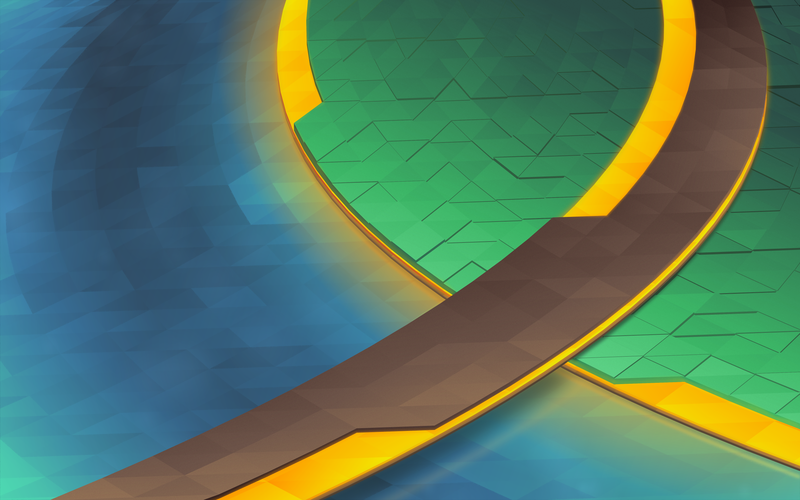 So is a pop-out menu style. 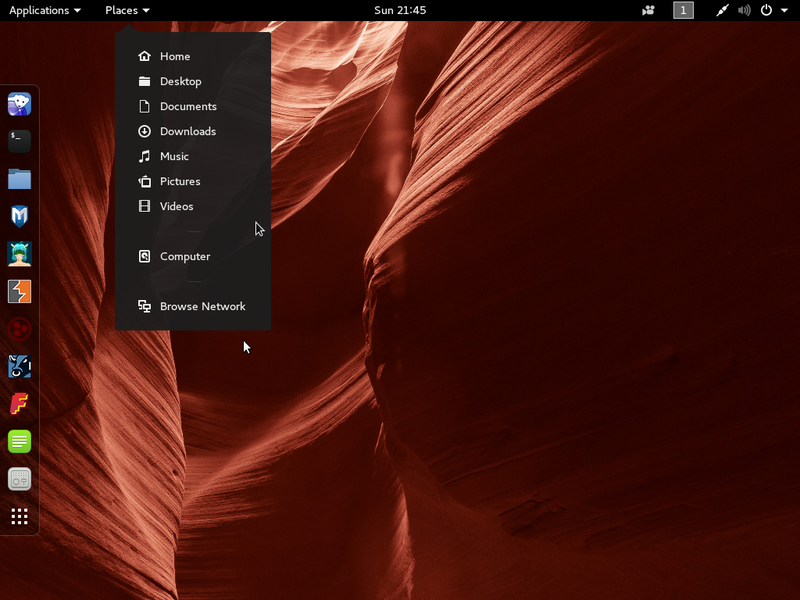 Switching between all three menu styles involves just 3-mouse clicks. 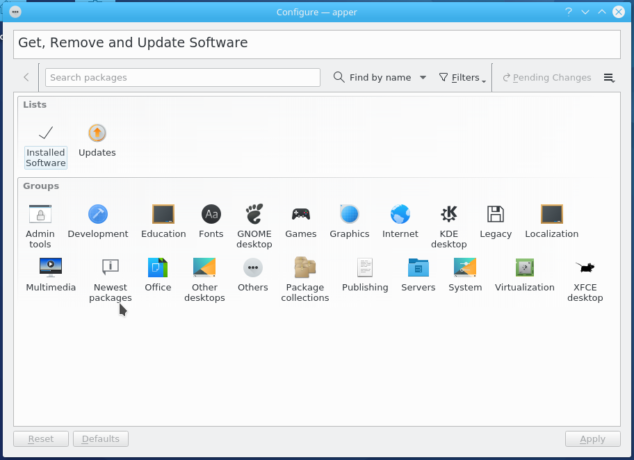 Apper is the graphical package manager on Fedora 25 KDE Plasma desktop. 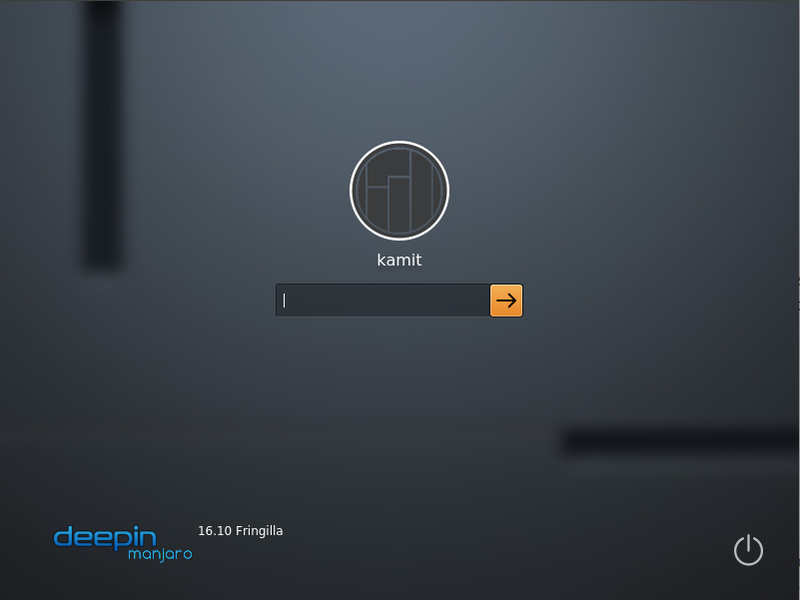 Didn’t take too long to find a bug. 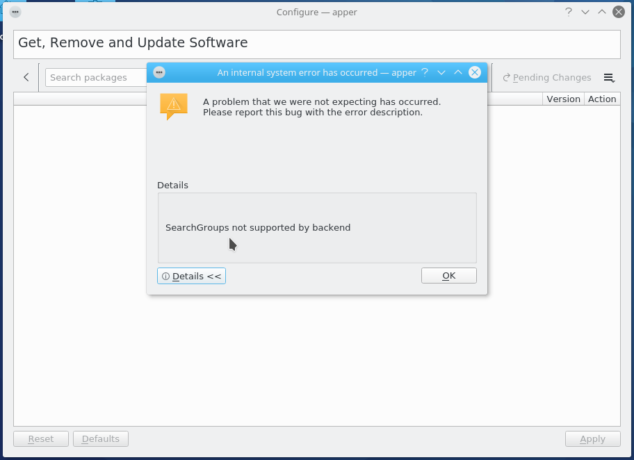 Clicking on many of the application category icons will cause the error shown in this image. 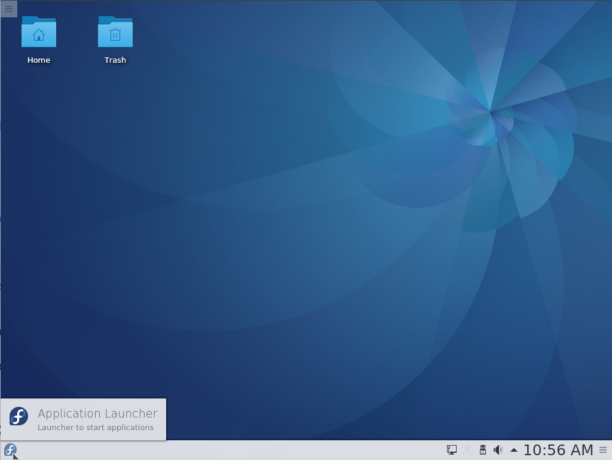 KDE System Settings on Fedora 25 KDE Plasma desktop. 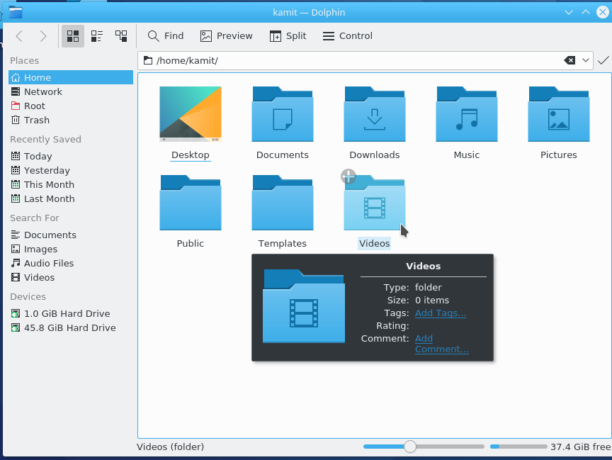 Dolphin is the name of the file manager on the KDE Plasma desktop. 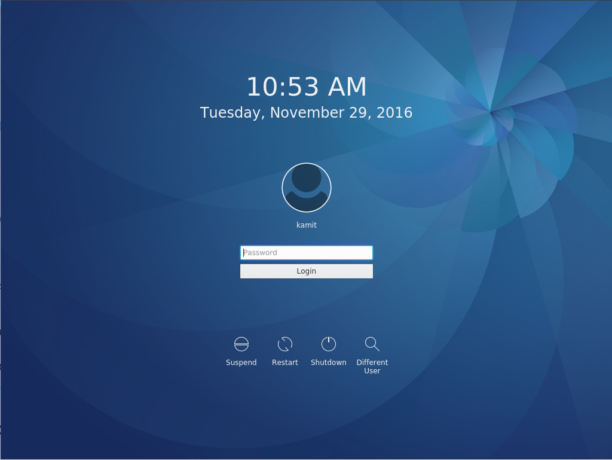 The last image is a screenshot of the lock screen. 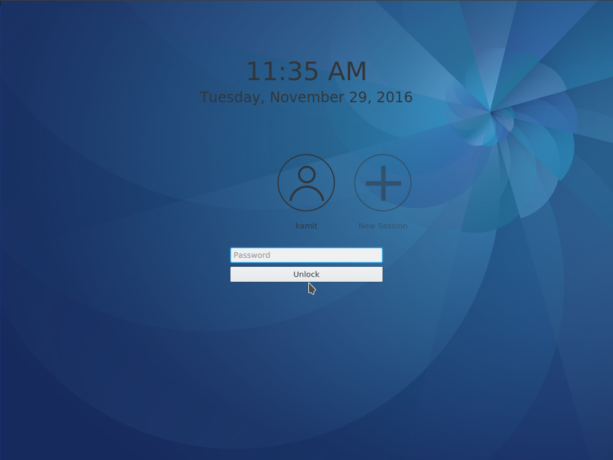 To download an installation image of Fedora 25 KDE, click here. 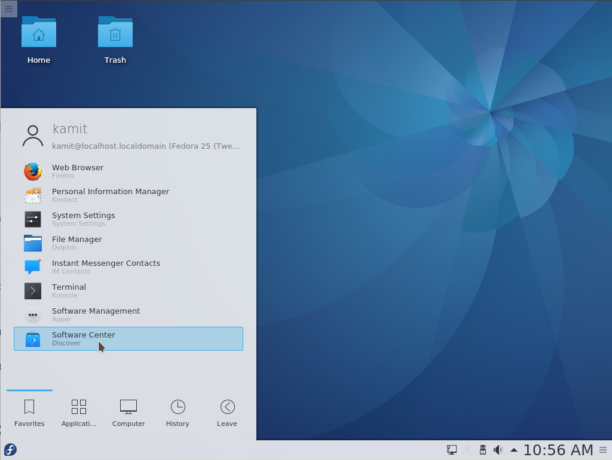 And if you need to dual-boot Fedora 25 and Windows on a single hard drive, read Dual-boot Fedora 25, Windows 10 on a computer with UEFI firmware.